The date 18 March 2019 marks the 150th anniversary of the publication by the Russian chemist Dimitri Mendeleev of the first version of the periodic table of the elements, considered one of the greatest achievements of science and a fundamental tool not only for the chemistry, but also for physics and biology. But this was not always so. 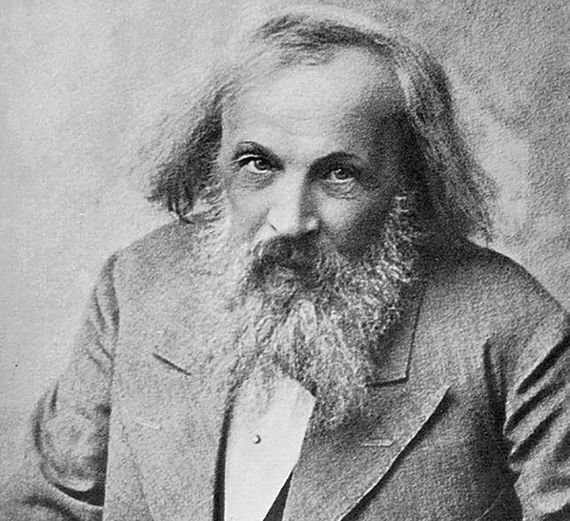 During its early years, Mendeleev’s masterpiece was under suspicion, until its divinatory abilities were confirmed. When Mendeleev presented it for the first time in 1869, it was not yet “the table”, but simply “an attempt at a system of the elements based on their atomic weights and their chemical affinities.” His pretension was not even original, because other chemists before Mendeleev had already tried similar arrangements. But it was the most complete —including the 63 elements known at the time— and, in addition, it was unique: unlike its predecessors, it left gaps for elements that had not yet been discovered. Of these, Mendeleev foresaw not only their existence, but even dared to predict their chemical properties and their atomic mass. At that time, his claim must have seemed, in the eyes of his colleagues, an act of arrogance or delirium. The table was ignored, if not scorned, by the vast majority of chemists of the time, accustomed to only accepting empirical data and experimental tests. This led them to distrust the theoretical principles on which the Russian chemist had relied, collected in his Periodic Law. Therefore, his periodic table could have fallen into oblivion had it not been for the discovery between 1875 and 1886 of three new elements that fit into some gaps left by Mendeleev in his table, and that also meshed perfectly with the properties that he had assigned them. Especially relevant were the circumstances surrounding the identification of the first of them, gallium, by the French chemist Paul Émile Lecoq de Boisbaudran. 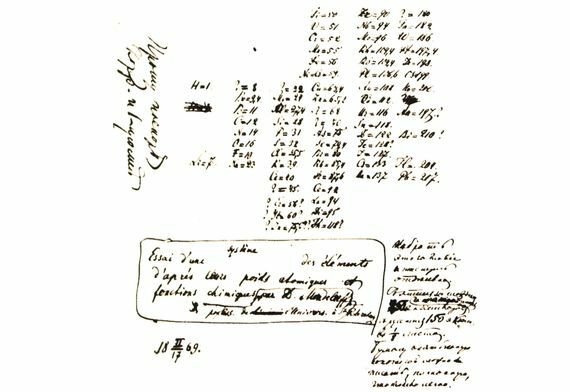 Between 3 and 4 o’clock in the afternoon of 27 August 1875, as he wrote in his diary, Lecoq de Boisbaudran discovered unequivocal signs of the presence of a new element in a sample of sphalerite (zinc ore). The next step was to go to the laboratory of chemist Adolphe Wurtz in Paris to obtain his help to isolate a sufficient quantity of the element and determine experimentally its physical and chemical properties. Those fit very well with eka-aluminium —a hypothetical element that occupied a position below aluminium— which Mendeleev had predicted on his table. The announcement of the discovery of a new element, given the name of gallium, reached the ears of Mendeleev, who took the opportunity to vindicate his table while claiming his share of success, asserting that the French chemist had relied on his predictions. Not surprisingly, Boisbaudran denied this assertion, arguing that the discovery had been based on his theory that each chemical element has a unique light pattern, as if it were a fingerprint, and this pattern revealed the presence of an element in a sample. As proof, he presented an a priori irrefutable argument: the atomic mass experimentally determined for gallium differed significantly from that estimated by Mendeleev. That was when Mendeleev made his masterful move. Without any empirical evidence and supported only by his theoretical deductions, he proclaimed that the measurements made by his colleague were erroneous and that they should be repeated. Despite his initial reluctance and perhaps to settle the dispute, Boisbaudran agreed, noting that Mendeleev was right: the initial measurements were wrong, and the new ones coincided with those predicted by the Russian. He had no choice but to write and publish an article in which he rectified his initial values and recognised the success of Mendeleev. Those results changed everything. The chemistry community could not hide its amazement at the fact that Mendeleev had been able to determine the properties of an undiscovered element more accurately than its own discoverer in the laboratory. Thanks to this, his table went from being anecdotal to being massively accepted, not only as a mere arrangement of the elements, but also as a very useful tool in the search for new ones. The definitive consecration of both the table and its creator came in the following years: in 1879 the Swedish chemist Lars Nilson identified scandium, whose properties fit perfectly with those predicted by Mendeleev for the undiscovered element, which he had called eka-boron. And in 1886, the German chemist Clemens Winkler discovered germanium, which he initially located in the gap left in the table between bismuth and antimony, occupying the place intended for eka-antimony. Upon communicating his discovery to Mendeleev, the Russian chemist again disagreed with the positioning due to certain and subtle discrepancies with his predictions. Once more he was right. When new analyses were made, it was found that germanium fit much better in the spot reserved for eka-silicon predicted by the Russian.